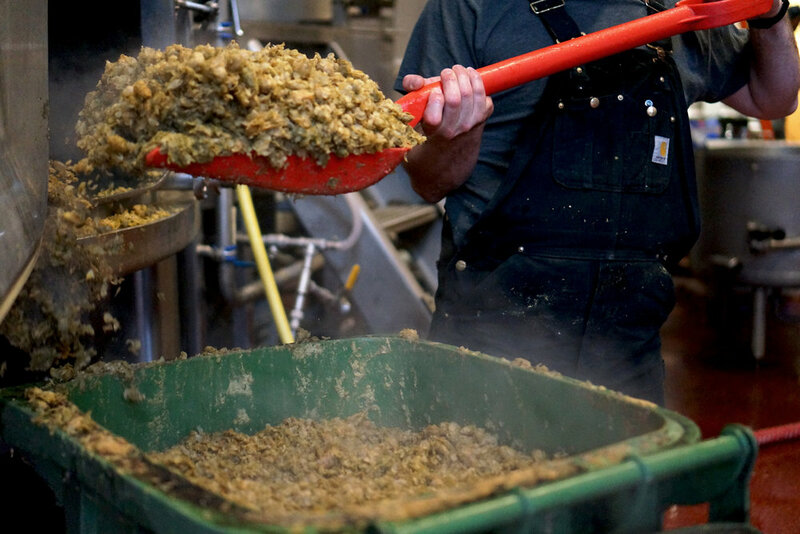 Beyond the water sluicing across the floor and into the drains, beyond the gentle whump of spent grain as it’s shoveled into steaming bins, beyond the chirps and clinks of the bottling line, The Kernel is defined by a singular sound. Every few minutes, a train rumbles by above our heads, its deep percussion overtaking the symphony of background noises. It’s disorienting at first, but the steady cha-chunk, cha-chunk soon becomes as regular and reliable as a heartbeat. 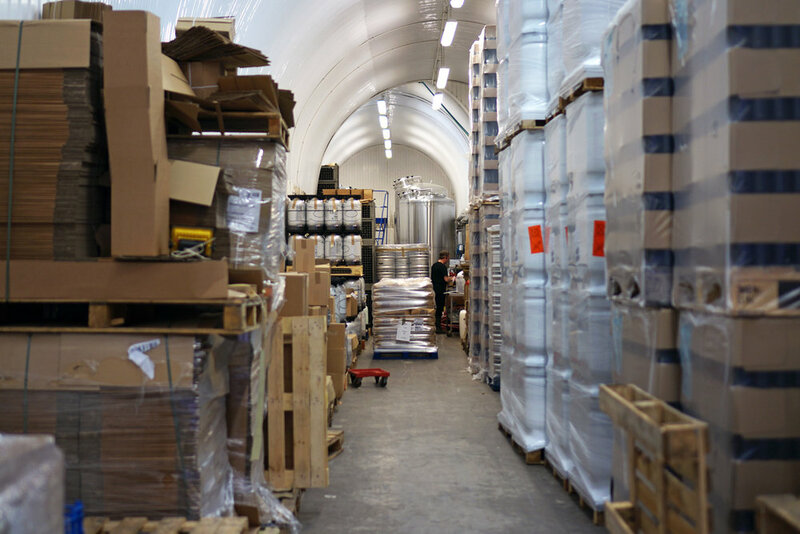 Alongside a clutch of other breweries, bars, and independent food producers and importers, The Kernel has found itself a home within the railway arches that stretch across Bermondsey in South London. The recurring tumult of the trains notwithstanding, it’s a place of surprising calm. To the outside observer visiting on a busy brew day, there’s an almost dharmic rhythm, a collective choreography to complete the tasks at hand: the tanks are cleaned and the kegs are labeled, and people pause to chat over sandwiches and the afternoon flows on unencumbered. Everyone pitches in—tasks are shared, on a rotating basis, among the staff of 14. Founder Evin O’Riordain is a man given to pregnant pauses and erudite references. In an earlier life, he sold cheese professionally while writing a PhD on communication in the works of Samuel Beckett. 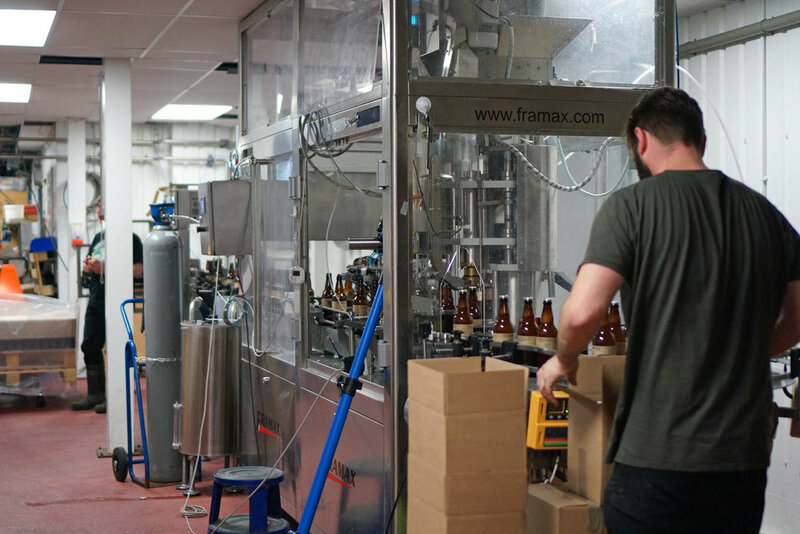 For the past eight years, he’s overseen The Kernel as it’s grown from humble beginnings to its current position as one of the UK’s best, and most influential, breweries. He wouldn’t see it that way, however. When pressed, O’Riordain sidesteps questions about The Kernel’s importance within the London brewing ecosystem. His attention is mostly present-tense. 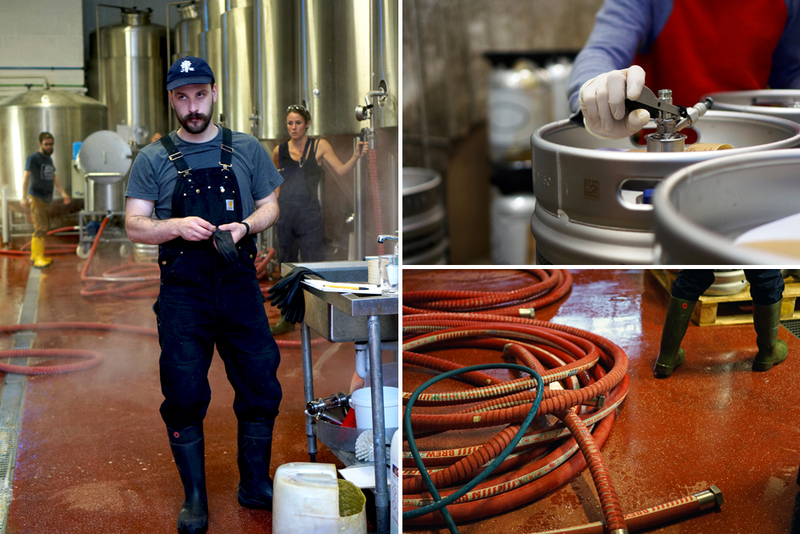 It settles on topics like the brewery’s maturing barrel-aging program, on the satisfaction and job security of his employees, on the goings-on among his culinary neighbors. That may be true. But in the outside world, the noise around The Kernel is only getting louder. Before O’Riordain even started homebrewing, he knew he wanted to open a brewery of his own. The realization came during a stint in New York in 2007. 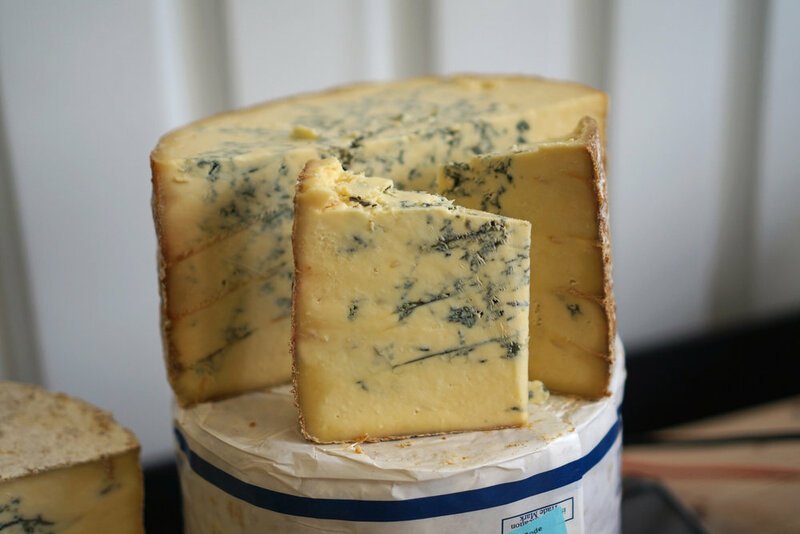 For years, O’Riordain worked as a cheesemonger in the Covent Garden location of Neal’s Yard Dairy, one of London’s beloved cheese shops—and one which works alongside small producers to rescue Britain’s heritage cheese varieties from obscurity. On the trip in question, he found himself on the Lower East Side. By day, he trained the staff at the sprawling Bowery Whole Foods. 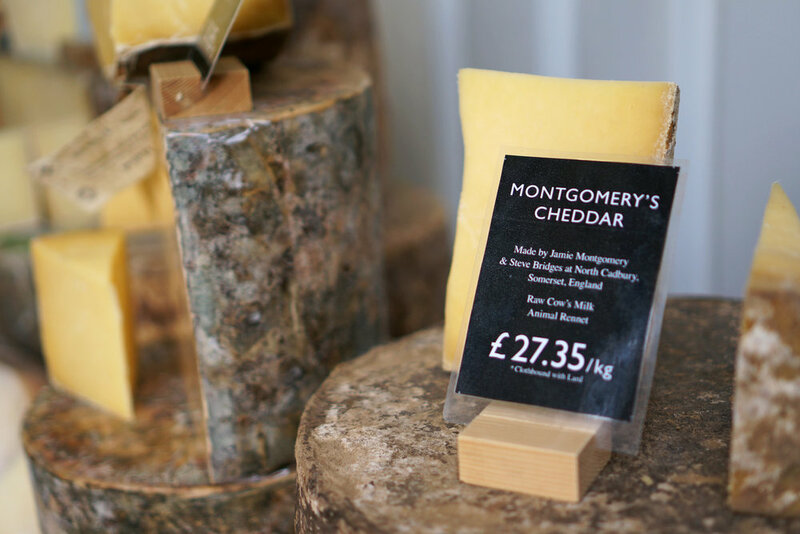 He taught them how to tend to heavy, clothbound wheels of Montgomery’s Cheddar, how to wrap slices of cheese without a seam, so that the cling-film resembled an unbroken pane of glass. In turn, the mongers invited O’Riordain along to their local bar, d.b.a, at the end of their shifts. There, the selection of beer, and the curiosity around it, was unlike anything he’d previously encountered. The son of an Irish microbiologist who knows many of the Emerald Isle’s farmstead cheesemakers on a first-name basis, O’Riordain could talk at length about how cheese was made and aged, about its origins, about the science of fermentation. Approaching an artisanal product with expertise and care wasn’t a novel premise for him. But regarding beer with that same focus was. Many brewers can call up a particular brewery or an individual IPA, say, as the epiphanic one that changed their minds about beer. For O’Riordain, it wasn’t a singular beer that startled him awake, but the discovery of a new—but recognizable—culture of connoisseurship. Upon returning to London, he began homebrewing in earnest. In September 2009, O’Riordain founded The Kernel at 98 Druid Street, with little more than a creaky, 4-barrel kit to his name. At the time, he shared a space with The Ham & Cheese Company and Kappacasein Dairy just off Maltby Street. In April 2010, the brewery opened its meager space to the public. 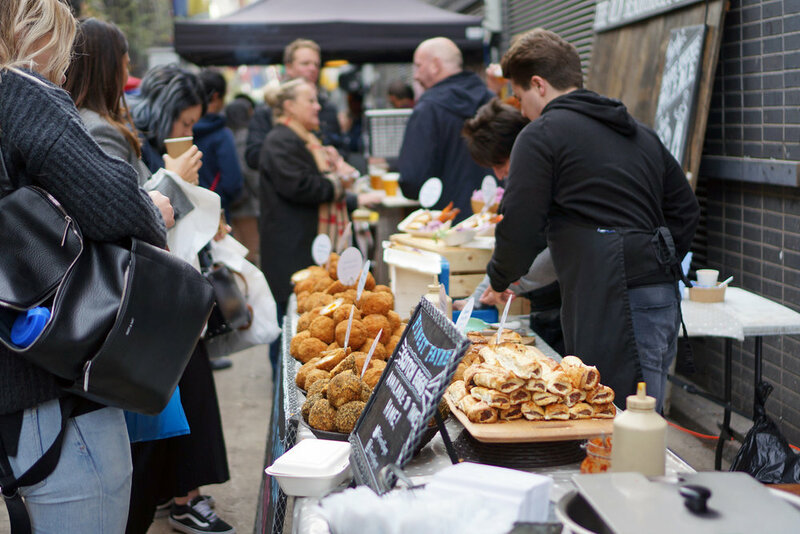 Meanwhile, hot food vendors began moving into the market along Maltby Street, and business picked up on weekends. Foreseeing a lack of space, and wary of the marked increase in foot traffic, The Kernel relocated to its current home, a 10-minute walk away, in 2012. 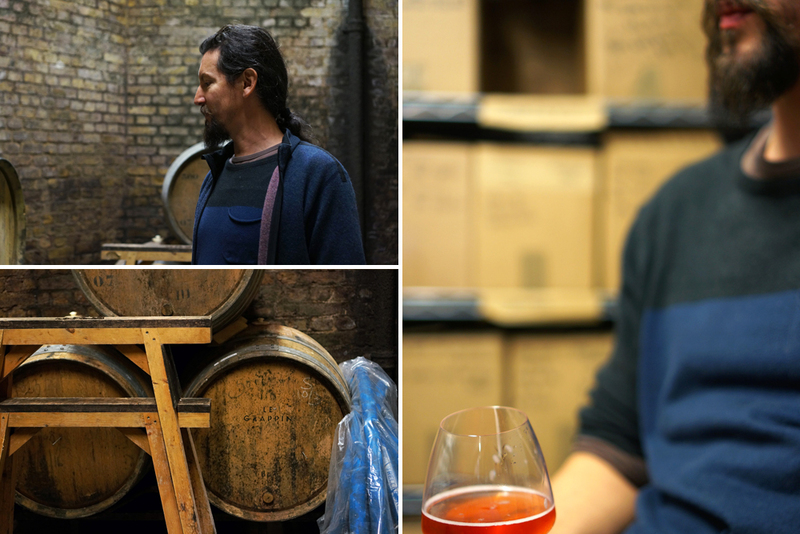 Within the London brewing community, O’Riordain isn’t merely admired for the quality of his beers—he’s spoken of with a reverence that might otherwise be reserved for a village elder. It doesn’t hurt that his long ponytail, wispy beard, and gentle timbre give him the demeanor of one, too. To say that O’Riordain helped usher a new generation of breweries into the world isn’t hyperbole. Today, it’s rare to find a London brewing professional who hasn’t worked at The Kernel, or who hasn’t sought out O’Riordain for advice. In the way that certain restaurants, led by chefs with a yen for mentorship, become incubating hubs for young talent—Rene Redzepi’s noma in Copenhagen, Fergus Henderson’s St. John in London—so The Kernel stands at the center of London’s expanding, ever more glittering constellation of breweries. 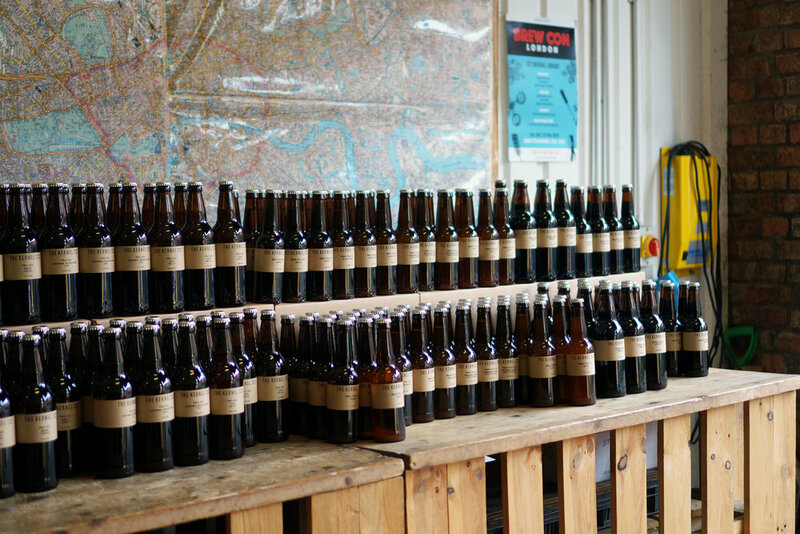 “I think, in a very real sense, that Evin’s been absolutely crucial to the London brewing scene becoming what it is today,” says Dave Seymour. 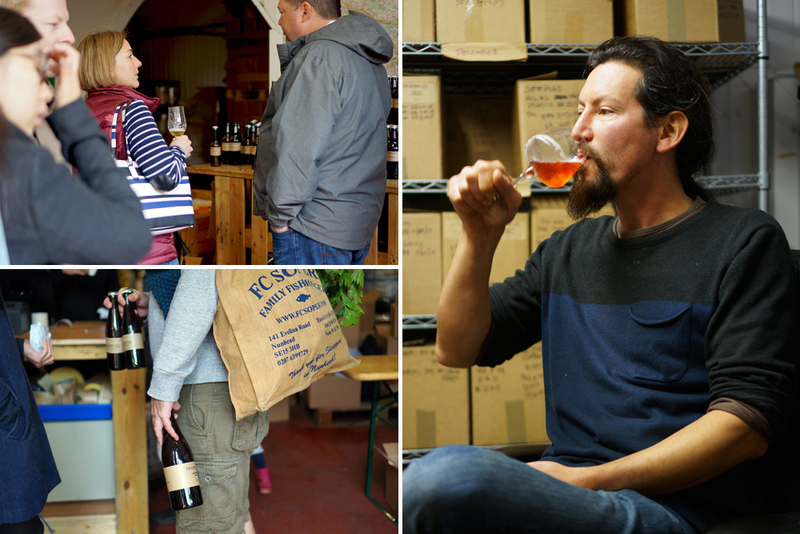 Together with his co-founder Tom Hutchings—who, incidentally, went to school with Kernel Head Brewer Toby Munn—Seymour launched Brew by Numbers in 2012, shoring up in a railway arch just five minutes up the road from The Kernel. The two met serendipitously: Rylance heard tell of a new brewery that had just opened, and dropped by one Saturday morning to pay a visit. He found O’Riordain “standing next to a dodgy-looking 4-BBL fermenter” and introduced himself. One swig of Columbus IPA was all it took to pique his interest. “I was at art school at the time studying sculpture, and had a day a week free, so I asked Evin if I could come down and help out,” he says. The occasional shift turned into a full-time job. Even six years on, Rylance still feels like a member of The Kernel family. “Every major decision I have ever made in my career has been run past Evin first, and I usually come back with more questions than answers,” he says. From a retail perspective, The Kernel also has a special cachet—and not only within well-trodden craft enclaves. The Harp in Covent Garden, a former CAMRA Pub of the Year, describes its offerings as “a concerto of cask ales.” And while it’s “not a specialist craft bar with 20-30 lines,” as Manager Karl Seville quips, The Harp has still, for the last few years, maintained a permanent Kernel draught line. There’s a distinct division—maybe closer to a yawning gulf—between the way that the world views The Kernel and the way that The Kernel views itself. 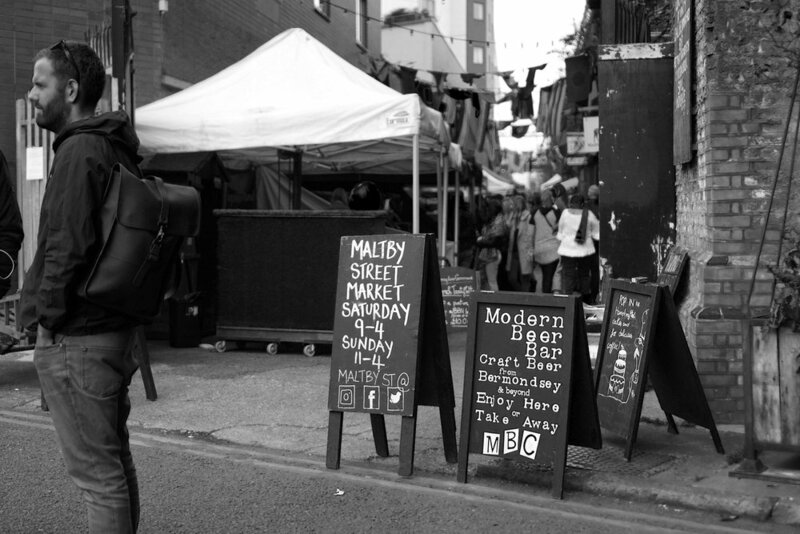 There is The Kernel that stands at the heart of the Bermondsey Beer Mile, a meandering, mile-and-a-half-long corridor that swells with torrents of drinkers on Saturday afternoons. There is The Kernel, too, that is difficult to write about without slipping into hagiography—the one that makes clean, exceptionally balanced Table Beer and ever-evolving hop-driven styles and world-class barrel-aged sours. There is The Kernel that has become a byword for excellence. Then there is The Kernel that has carried on for years, steadily, quietly. There is The Kernel that eschews advertising and branding and social media engagement, barring a sporadically updated Instagram account. There is The Kernel that closed its only taproom two years ago, after the flood of Beer Mile crowds proved too much for its limited facilities. At times, the brewery can feel more than a little elusive. Inside The Kernel’s bubble, hype is anathema. Its beers may rival those from any given New England brewery that attracts hours-long lines for can releases, but it couldn’t be less interested in stoking obsessive attention. 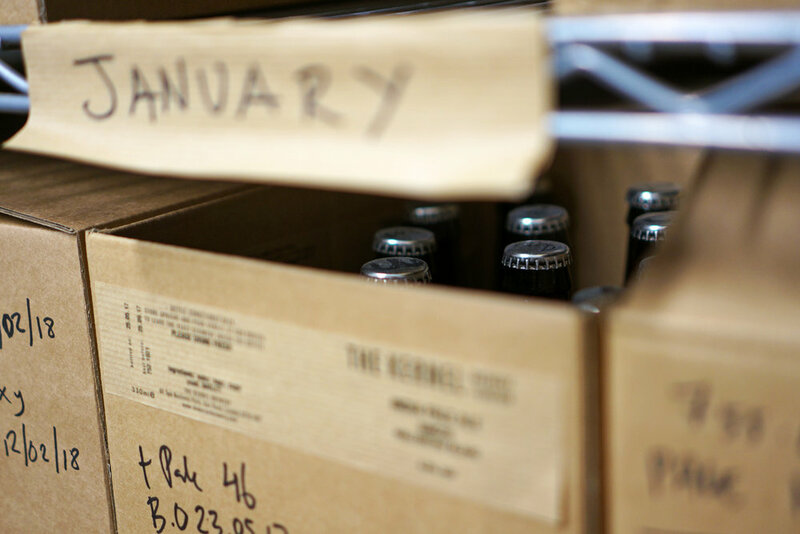 The Kernel often acts in a way that’s explicitly contrary to how the average craft brewery is expected to behave—contrary to what’s taken as basic, common-sense business advice, even. The most visible example of this tendency is The Kernel’s labels: all the same, mundane shade of butcher-paper brown, wrapped around bottles instead of tallboys, perfectly designed for eyes to stray from, to melt into the background on any given refrigerator shelf. “The Kernel Brewery London” is stamped in black ink. As the brewery is absent of a core range, the label also lists the style and then the hops or fruit or barrel varieties that distinguish each iteration from all that’s come before. It’s the essentials, but nothing more. It’s a gesture that baffles some. During one of my visits to the brewery, a French university student wanders in unannounced, looking to speak with the founder. The student’s thesis is on beer label design. Despite O’Riordain’s repeated explanations, he struggles to fathom why The Kernel is content with labels that are so blatantly unadorned. If the label telegraphs The Kernel’s values, it’s also a nod of respect toward its customers. Like an author who writes challenging fiction, O’Riordain wants anyone who picks up one of his bottles to play an active role in the consumption of it. Label design and social media profiles aren’t the only industry conventions that the brewery forgoes. Barring close relationships with breweries like Off Color, Jester King, and Partizan, The Kernel doesn’t prioritize collaboration beers (and when it does make them, they’re released with little fuss). O’Riordain may be a common fixture within London’s bars, taprooms and bottle shops, but he’s unlikely to venture far. In fact, it’s been years since he visited the U.S. 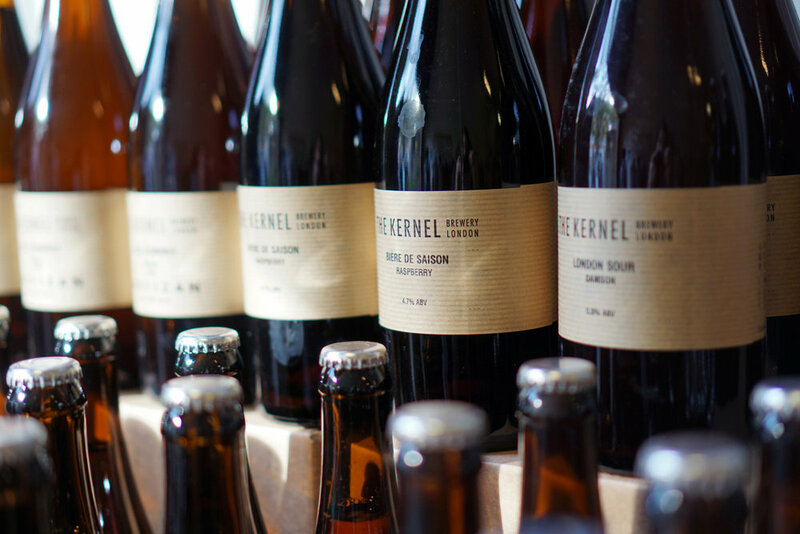 But perhaps the most striking choice The Kernel has made, especially amidst the near-constant noise of brewery expansions and multi-million-pound crowdfunding campaigns and multinational buy-outs, has been to disavow profit as a motivating factor. Snug in its arches, The Kernel has a finite amount of space. Brewing happens on its 20-BBL kit just once daily, five days per week. Its 10 fermentation vessels have remained a constant for the last two years; annually, the brewery turns out roughly 7,600 barrels (up from the 720 it was producing in its previous location). 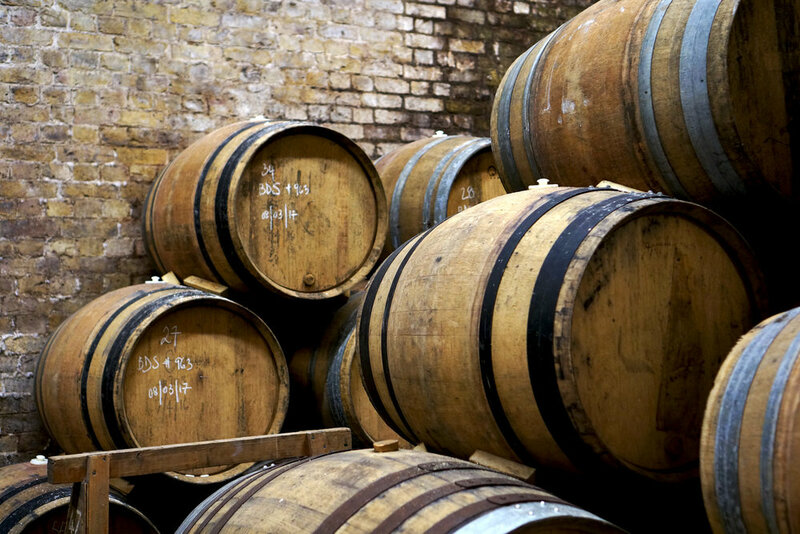 And while its barrel-aging program has blossomed since the first barrels arrived from Burgundy in 2012, the brewery—which now has roughly 80 barrels and two foeders to its name—has since reached the upper limits its real estate affords. None of this is a problem. Rather, it’s a conscious decision. If its facilities and output have grown modestly, so, too, has its staff. 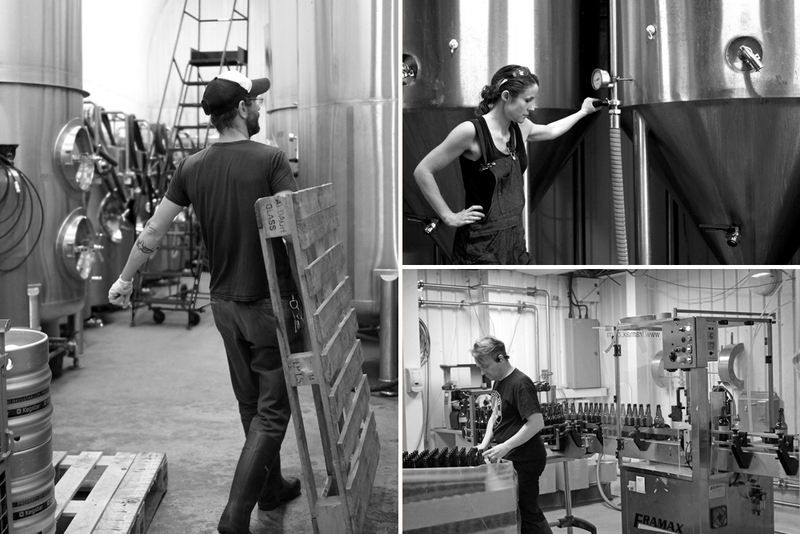 Hiring sprees and employee turnover are notably infrequent—prior to Brewing Technician Stephanie Poltinger’s departure several months ago, no one had left the brewery in five years. Although she has industry experience thanks to previous bar and bottle shop work, Zelenanska is new to brewing. And she isn’t the only one. When Joby Williams joined the brewery five and a half years ago, she—like Evin—had worked as a cheesemonger, but had never professionally brewed. From what I observe during my visit, O’Riordain’s position in relation to his employees seems to be less as a boss, more as a mentor. Undergirding his approach is a profound generosity—a desire to educate, to share in the empirical aspects of making beer. That O’Riordain’s approach is also good for the ongoing success of the brewery seems only to be an incidental benefit, rather than a stated intent. 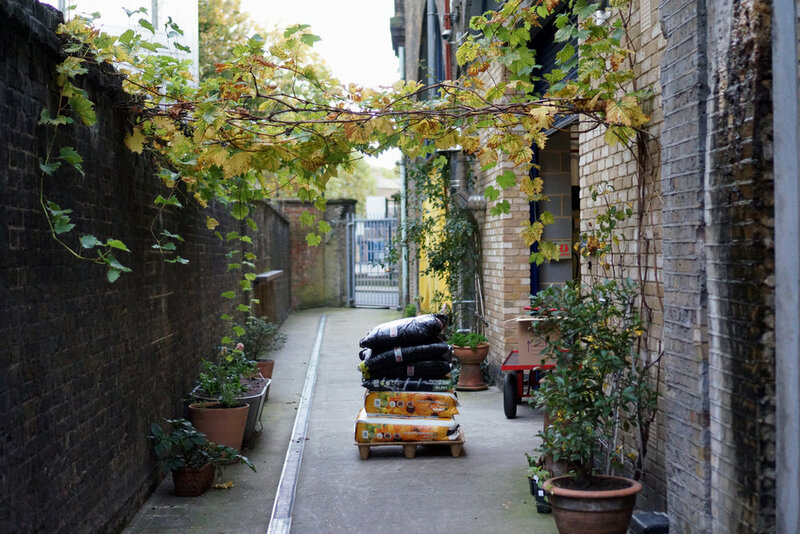 On a sunny Saturday in late October, crowds spill out of the arches that line the Spa Terminus estate in Bermondsey. Fragrances follow: the seductive perfume of oven-warm bread, the pungent, intermingled whiff of dozens of cheeses. Freshly ground coffee, cooked fruit. On a table a few arches down from The Kernel, containers of honey wink in the sun. In the brewery’s makeshift bottle shop, silver caps throw off beams of light. Crowds filter in, a mixture of repeat customers and those who, baguettes tucked under elbows, freshly wrapped hunks of stilton in hand, simply follow the rest of the amblers. He could almost be counting on his fingers. It’s part of the reason the brewery won’t be relocating anytime soon, despite the fact that it meets only a fraction of its demand. 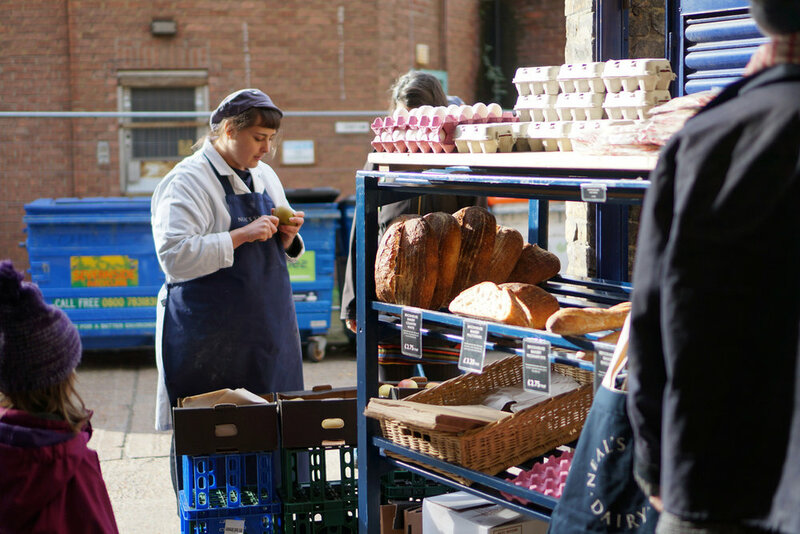 As with all the producers in the vicinity, The Kernel enjoys a generous long-term lease, negotiated on its behalf by Monmouth Coffee and Neal’s Yard Dairy. Beyond that rather cushy arrangement, it’s the shared ethos—a sense that everyone here is deeply devoted to their chosen craft—that prevails. Predicting what comes next for The Kernel is a tricky proposition, and not only because O’Riordain resists any broad requests for prognostication. Its barrel output will likely increase in both volume and refinement. (Its recent Bière de Saison Apricot release, a blend of young and aged Saisons that’s aged with Bergeron apricots, is an indication of positive things to come). The brewery will surely continue to experiment. It would like to improve its packing line. What is certain: The Kernel will proceed with all its idiosyncrasies, and its conscience, intact. 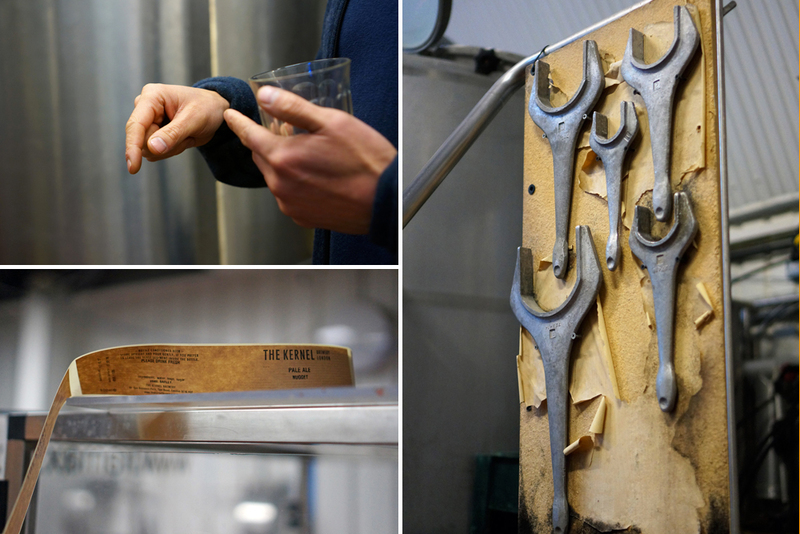 It will remain a mainstay of Britain’s modern craft beer rebirth. It will serve as a guide for both new breweries and those that have yet to be born. If the future is forbidding, O’Riordain is nearly as evasive when asked to reflect on the brewery’s past eight years.